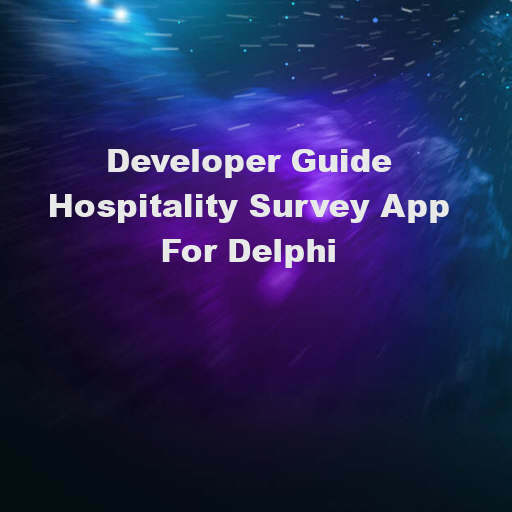 A client app built with FireMonkey for Android, IOS, OSX, and Windows where users can fill out survey information. A web app built with AngularJS for viewing survey stats. There is a second version of the web app built in Sencha which will also be available. A REST server built with RAD Server for Windows and Linux. And a setup app which is used to configure the whole system. Lastly you can customize the questions during the setup process and also in real time using the Hospitality Survey Editor. Check out the full developer guide video below to get started!